Delicious Thai flavors wrapped together in a tortilla! Cut up the chicken breasts into bite-size pieces. In a large skillet, saute the chicken and marinade until chicken is cooked through. 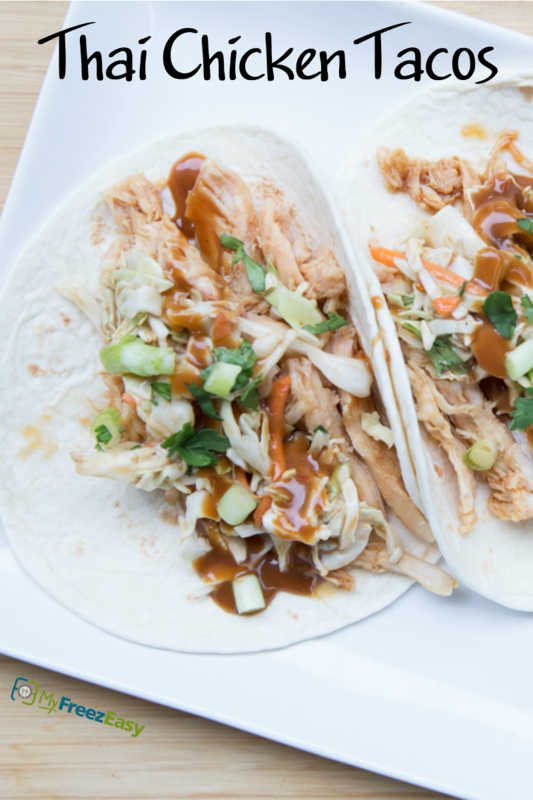 Assemble tacos with chicken, shredded cabbage in each tortilla, topped with drizzles of the Thai peanut sauce. 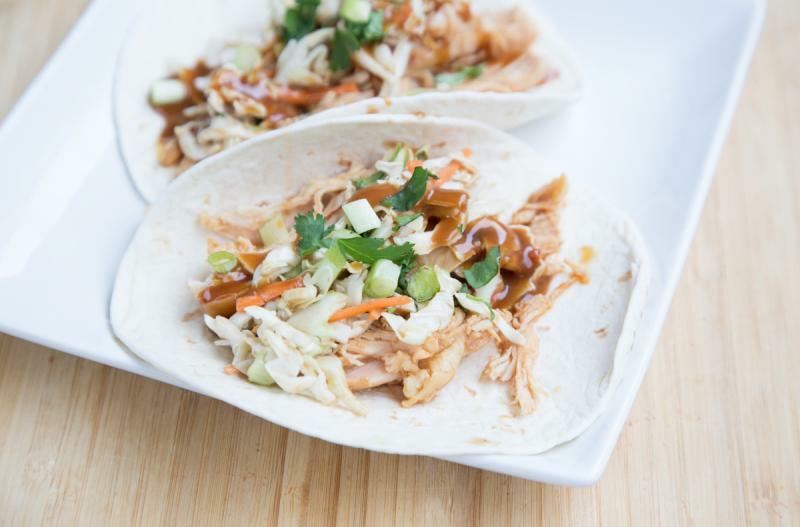 Serve Thai Chicken Tacos with veggies. Cut up 4 chicken breasts into bite-size pieces. In a large mixing bowl, whisk together the 6 Tbsp rice vinegar, 6 Tbsp soy sauce, 4 Tbsp lime juice with a few pinches of salt and pepper. Put baggie in the freezer and freeze up to 6 months in fridge freezer or 12 months in a deep freezer. Thaw in the fridge overnight, or a warm bowl of water for about 20 minutes, before transferring to the skillet for browning and cooking as directed. Recipe is gluten-free when you use gluten-free soy sauce and corn tortillas in place of the flour tortillas. Thaw chicken in the marinade and transfer to skillet and brown the chicken pieces. Serve on tortillas with shredded cabbage and drizzles of Thai peanut sauce.